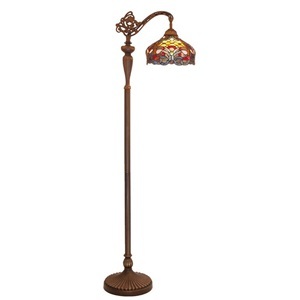 Bring the beauty of the Victorian era to your home! This 59"H sidearm floor lamp includes a shade constructed of 294 pieces of hand cut glass in reds, yellows, and greens with 33 coordinating cabochons. 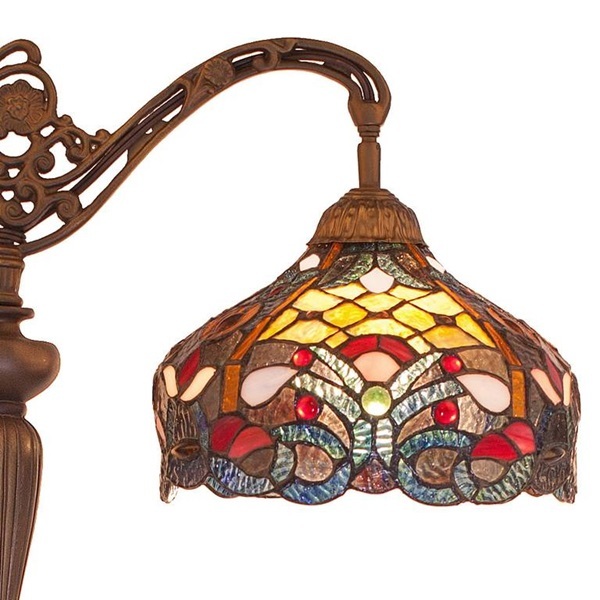 Rippled blue glass adds texture and dimension to the shade. 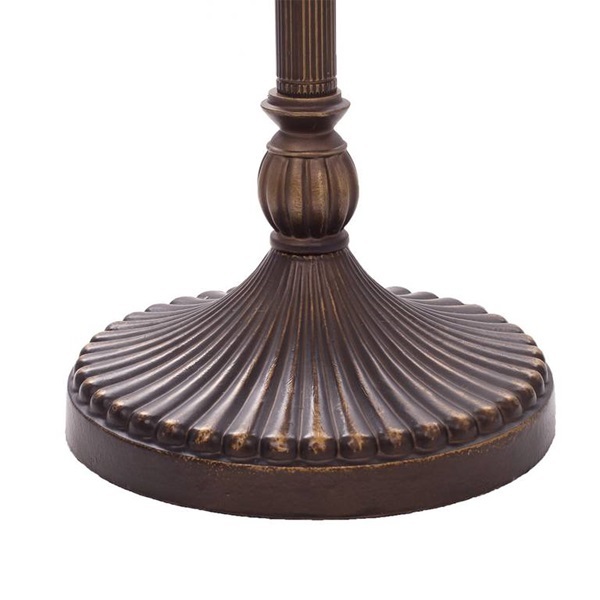 The sidearm style works great as a reading light over your favorite chair or sofa. 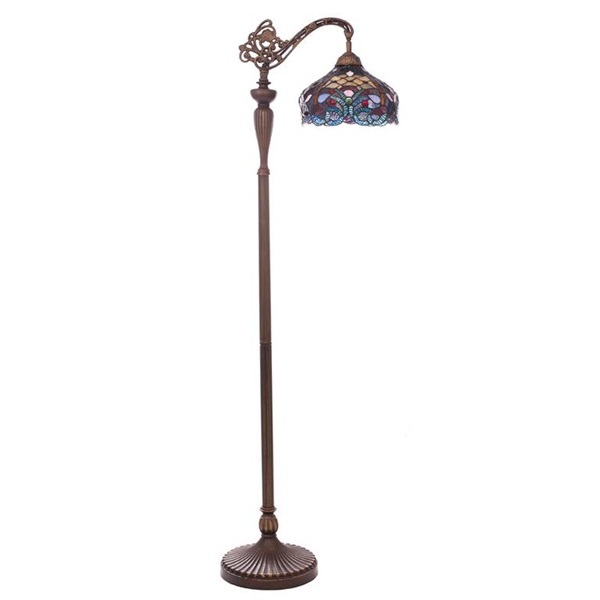 Complete with an iron base in antique bronze finish, this lamp has an aristocratic design that transcends time.